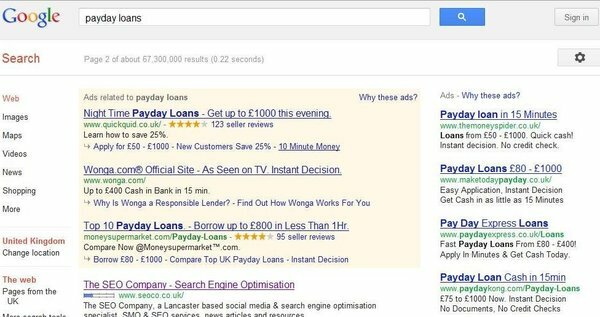 And for a couple of days the payday loans site stole some of my rankings. As soon as I realised what had happened I cancelled the change of address, changed all of my passwords and updated my WordPress (my designer suspected that was how they got in). Over the past few days I have had 98 visitors from people searching for payday loans. So there you have it, make sure your wordpress is up to date and keep an eye out for unusual activity – negative SEO does happen. Posted in SEO News By David Eaves a UK search engine optimisation specialist.